Traveling solo has become widely popular. It can expand personal perspective, boost happiness and contribute to health and vitality. But how can you achieve vibrant, authentic and fun experiences every time? Globe trekker and blogger Nina Lesiga will share insights, strategies, and fresh ideas about traveling independently. There are varying approaches and lots of solo-friendly options for unleashing exceptional experiences. What’s right for you? What are the potential enablers and obstacles? What about safety and security? 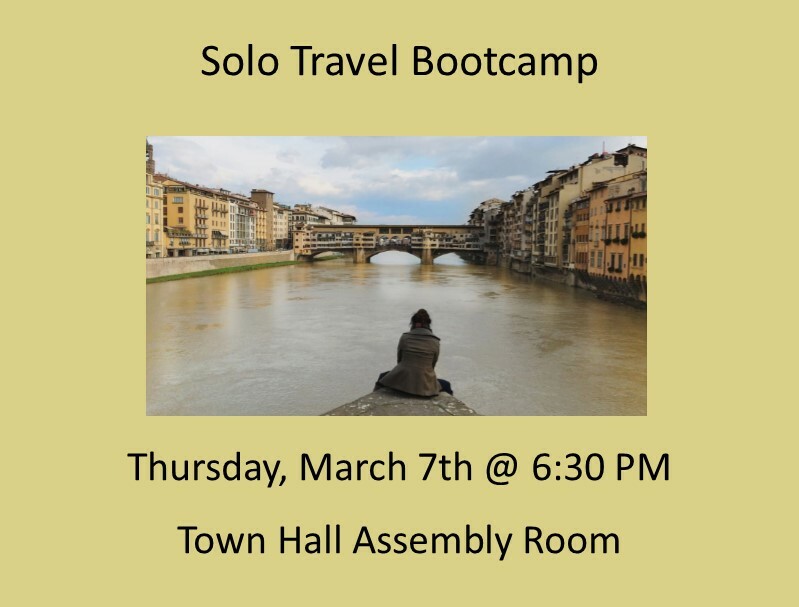 Join Nina for a fun and informative session about solo travel near and far!